The Zac Efron workout differs based on the role he has to play. Generally, he sticks to trainer Ramona Braganza’s 3-2-1 workout. This keeps him lean and toned. But, when he was training for The Lucky One, he had to take a different perspective. This led to him working out with a Navy Seal. The secret to the Zac Efron workout (For “Charlie St. Cloud,” and “17 Again”) is to constantly switch between cardio and strength training. This forces your body to physically change to cope with the vigorous workouts. Total body exhaustion is the goal of the Zac Efron 3-2-1 workouts. Instead of running on a treadmill for 40 minutes, you are constantly changing what you require of your body. They were my age. They were about my height, 5’9, 5’10, some shorter, but all very stocky. And I’m there in a backward hat and Vans, walking around like I’m still in college. The Zac Efron workout routine is performed in 3 total circuits. If you have an expert level of fitness, perform all three sets of the routine. For intermediate users, do 2 sets. Beginners can try doing the set only once, then working their way up from there. Do one minute of rest and stretching in between sets. Self Magazine, Men’s Health, US Magazine, and People Magazine. Interviews with Zac Efron’s personal trainers, Ramona Braganza and Logan Hood 87eleven. The Strength segments are performed in a circuit, keeping intensity high. The final Core segment improves balance, agility and helps define and strengthen the abs and lower back. Zac was already in shape before, but we did a lot of old fashioned weight training to bulk him up. He just really enjoys exercise and makes it a priority, so easy for us. He would show up at 6 am. JC, you’re correct. Zac Efron went light for this routine. Obviously, feel free to change it up to your needs. Also, make sure to do a good warm up, so that you keep your heart rate up (for fat-burning) throughout the workout. Joseph, he would use the same weights each time. The challenge in this type of circuit training is to go for speed, not more weight. Time yourself, and try to beat it. Or, do the entire circuit over and over, as fast as you can, for a specified amount of time. The reason he doesn’t go up in weight, is because Zac Efron wanted to get ripped, more than bulked. So, his circuits were designed for fat burning, more than muscle building. If you want to prioritize bulking, over fat burning, than go ahead and jump up in weight. Zac weighs 134 pounds, though he gains up to 10 more for some of his roles. He uses the 3-2-1 method while on set, and then stops completely afterward. I guess I should also ask what his diet was like throughout the day…maybe I’m eating too much? or at the wrong times. It sounds like you don’t have the same “body type” as Zac. Zac Efron is an ectomorph. This means that it is very hard for him to put on muscle or fat. Based on your description, it sounds like you fall into the “mesomorph” body type. For this body type, common advice is to multiply your body weight by 15, to get how many calories you should eat in a day. Mesomorphs require a combination of cardio and weights. Start with a warm up, to get your heart pumping, then try to keep that heart rate up throughout your workout. Try reducing your caloric intake, by experimenting and seeing what works for you. I’m a mesomorph, too, and I’ve found that blending spinach (or preferably kale), lemons, a few berries, and stevia sweetener is what really works for me. First thanks for putting this workout online. I’m getting great results but I have a few questions. I am a an ectomorph like Zac and I have been doing this regimen for almost 2 months. Right now I am lifting 20 pound dumbells because I can’t go to the gym. I want to get to 180 pounds and right now I am at 169. Should I add more weight? Is there a max weight I shouldn’t go past? Do you have any recommendations for protein supplements? I use body fortress right now but I don’t like that it has creatine in it. I don’t do power cleans because they are dangerous if your form is wrong, do you have any ideas on what I could replace them with? I do ab exercises on my off days about 150 reps. Does it have a negative effect on the regimen? Finally, can you give me a list of things to eat high in protein? I only eat baked chicken, sweet potatoes, scrambled eggs in olive oil, oatmeal, mixed veggies, baked tilapia, and brown rice. I don’t think I’m eating enough as I eat about 4 times a day. Plus I snack on healthy no salt trail mix with pistachios, almonds, raisins, and cranberries. I would appreciate it if you could answer my questions. Thank you. Emmanuel, great to hear about your results! No max weight, so add more weight if you can, or modify your workout with bodyweight exercises, instead. I use Muscle Milk, just because you can get a huge bag for cheap. Creatine is proven to help grow muscles, but cycle in and out of using it. For Power Cleans, you can sub in stiff-legged deadlifts and squat and press. For max weight gain, drink a whey protein shake every 4 hours. Spinach, tofu, and quinoa are great sources of protein, commonly overlooked. Try some quinoa recipes. It tastes like rice, but is full of protein. Read up on how to cook quinoa. Also, doing abs on your day off is fine. I like to add biceps curls and hammer curls, (7 sets of 7 reps) too. Yes, this workout is total body, and can help you gain weight. The key to gaining weight, though, is diet. Zac had to consume a lot more protein than normal, to gain weight with this workout. Use a protein shake after your workout. Drink even more, throughout the day, if you are a hard gainer. Have fun in college. Hey, I have one question would you recommend doing the first work out to build yourself up two doing the lucky one work out……. or i one to get lean and the second one just to get bulky/bigger? also what diet would company the first routine ? Zac Efron didn’t reveal too much about his diet. He did say that he had to eat more protein, than usual, to gain weight. The best diet I’ve found to gain weight is The Rock Diet. When training for the Wolverine, Hugh Jackman even used The Rock’s diet. This means you eat 5-6 meals a day. Each meal should be 8 oz. protein, a starchy vegetable, and a fibrous vegetable. This diet may be extreme for some of us. At least, try it for a week, or alter it at your discretion. The Rock’s trainer admits that eating that many times a day is something that you work up to. It’s not something that novices should do when they start training. But, eating clean is what’s important. If you’re doing the 3-2-1 workout, and not making gains, then it’s time to increase your caloric intake. You’re correct, you probably don’t need to eat 6-7 meals a day with the 3-2-1 workout. The takeaway is center your diet with meals of 8 oz. protein, a fibrous vegetable, and a starchy vegetable. For people who gain both muscle and fat easily (mesomorph/endomorph) they may have to eat less often, and do more intense cardio. For people who are hard-gainers (ectomorphs), including Zac Efron, they do have to eat a lot (and often) to gain weight. Zac did say that getting bigger was a lot of work. He had to eat a lot more than he was used to. They’re 2 totally different workouts. The first (3-2-1) is popular among many celebrities. The second (Navy SEAL) was something that Zac Efron only did for a movie role. I highly suggest trying the first one. It is a total body workout. And, you don’t need that much equipment. Let me know how it goes! When you say that Zac Efron would completely stop working out with this when he wasn’t shooting movies, did you mean he switched to a new workout? Or does he stop working out completely? And in that case is this exercise meant to build muscle super fast if you work right and eat right? I also have a question about my body type. I’m 6 foot and 150. I have broad shoulders and I can get lean fairly quickly if I’m working hard enough. But I don’t gain fat easily at all. I can stay at a constant 12% body fat with eating junk food and still look somewhat cut? This really confuses me on my body type. Because I’m a skinny dude. But I don’t have that much trouble gaining muscle. Maybe it’s because when I’m in season training I’m eating tons to compensate for my heavy workouts and that makes me gain weight? I’m just scared that this workout isn’t my body type at all and I’ll be wasting precious off season time doing an in correct workout. Zac Efron says he stopped working out completely, when filming for “Lucky One” was done. This was because the Navy SEAL workout was so intense. The 3-2-1 workout (1st workout mentioned) is done by lots of Hollywood actors while on set filming. The 3-2-1 workout is more about total body conditioning, so they look good on camera. If you’re playing a sport, I’d suggest doing this workout in combination with a function workout routine for your specific sport. It sounds like you have a similar body style to Zac Efron. So, in order to get cut you will have to eat a lot of healthy food every few hours. Try to combine a protein, a starchy carb, and a fiberous carb for best results. I know what you mean about the beginners not having 6/7 meals but if you had 6 meals that were light so consisting on oats, tuna salad, turkey on whole meal bun, 2x chicken breast and 2x 100g of broccoli and a shake after the workout. its not hight calorie based but you eating often enough to keep you going and a progressive weight training programme can you give me your thoughts ? Yes, that sounds that a great plan. And, the proof is in the results. It should work for you. But, if you’re still finding it hard to pack on muscle, and your going hard during your workout, then go ahead and start adding more calories to your diet. And also. I was wondering if the amount of tricep work in this workout was enough for big arms? Because there are only 1, maybe 2 for an upper body workout session does it still give you the result to have big arms and still feel comfortable in a tank top? Since you do bar dips (20 reps total) and triceps extensions (20 reps), for 3 sets, that ends up with 120 reps of triceps exercises. That should suffice for most people. But don’t let it stop you from adding to the workout. The key is that the triceps muscle is small, so it requires a lot of reps to really get the blood flowing there. The 3-2-1 workouts succeeds in it’s simplicity, but feel free to add to any part of the workout. This workout was designed for actors who are getting their workouts in between shooting films. That’s why it has a simple structure, but still attends to all your body’s fitness needs. Is it bad to do core everyday? I have heard that you should alternate days with core giving yourself a day or two off. There’s 2 opposing training philosophies on that. First, some trainers say to alternate like you’ve mentioned. Alternating is good, if you’re training to the point where you’re sore the next day. But, you would have to be targeting your abs pretty hard to be sore there every day. The other approach is that you want to work your core every day, because it is the basis of all athletic movement. The 3-2-1 workout is a total body workout that takes this approach into action. As such, you aren’t likely going to feel sore in your core on a daily basis. You are using your core, but not to the point where you should be sore the next day. Therefore, it’s fine to work your core everyday using the 3-2-1 workout. Do you know the weights Zac used during the Upper Body 3-2-1 workout? I have a similar body type to Zac and am looking to get more cut but want to make sure I am using the right weights, especially since the reps are high. Thanks! Zac didn’t reveal what amount of weight he used. But, it’s best to find a set that’s right for you. If you can do all the reps without fail, then go higher in weight. Once you get to the point, where you can’t finish the entire set, you’ve found the right weight. But, as always, make sure to maintain proper form. That’s the key. Hello. Do you know where Zac did his workouts? Was it at home or in a gym or a mix between the two of them? While filming, Zac actually does his workouts on set. Ramona Bragazna is famous for having a trailer-turned-gym that she brings to each set. Zac uses the trailer-turned-gym while filming for the 3-2-1 workout. The Navy SEAL workout is done in a gym. But is this workout suitable for 14, or 15 years old guys? Yes, this workout is fine for your age, as long as your growth plates are fully in place. The key at your age is to focus on form, not on heavy lifting. Going heavy or not perfecting form are where injuries become an issue. Fix that by making sure you’re doing each exercise with proper form. Get some help, in the form of a spotter, if you’re not sure about form. Enjoy! I am 38, 5’8, 158lbs. I want to get ripped AND build muscle. Have some fat to lose in my belly to show my abs, but otherwise I am in best shape of my life. Is alternating 3-2-1 for one week, and navy seal for one week – on and off – a good idea? Or start with 3-2-1 for 4-6 weeks, then Navy Seal for 4-6 weeks? Start with the 3-2-1 workout. It is more structured, and easier to do. After 4-6 weeks, move up to the Navy SEAL workout. By sticking to the same workout routine, you can challenge yourself each week to do more reps and iron pushing than the week before. Once you’re happy with your improvements, or feel like you’re hitting a plateau, it’s a good time to move on to a different workout. Last question… do you feel the 3-2-1 has enough variety for biceps and triceps? Would you recommend adding for bis and tris? The 3-2-1 workout is about total body conditioning. It’s a good workout for people who want to get lean and toned. But, if you want to get ripped biceps and triceps, I agree you may need to add to the workout routine. Check out The Rock Workout, it’s the most popular workout right now. Also, I would highly suggest looking at the Jason Momoa/ Conan the Barbarian Workout. I like his arms routine the best. You take a few arms exercises, and do 7 sets of 7, 6 sets of 6, then 5 sets of 5. If I can’t make it to the gym, I just do bicep curls, hammer curls, and triceps extensions with this routine. It gets your arms pumped! Because the biceps and triceps are smaller muscles, this high volume approach works the best. hi chris, I was wondering if it is better to have breakfast before ramona’s braganza training?! …thank u! If you’re doing the workout first thing in the morning, then do it on an empty stomach. This will optimize fat-burning. When you wake up, your body has energy reserves for 30-40 minutes of exercise. If you’re doing it at any other time, make sure to have a meal with protein and complex carbohydrates about 30 minutes before working out. This will ensure that you have adequate energy to get the workout done efficiently. HI Chris- I am 5’9 and weight 150. I went to the get a fitness test from my gym and it shows I have about 21% body fat. Most of which is probably around my mid-section. I am debating whether I should try the Zac Efron 321 workout or would the Channing Tatum workout be best. I don’t want to get too bulky but I also want to lose a lot more bodyfat. Is one workout better than the other? For a fat-burning workout, do the Channing Tatum workout first thing in the morning on an empty stomach. Hop out of bed, get a bit of coffee, pre-workout drink, or even just (lemon) water, then get right into the routine. Focus on form, but get things done fast. Invest in 25 pound dumbbells, or whatever is right for you, or merely sub in one-legged pushups for the Military Press exercise. Also, get a jump rope, or simply jump in place with a pretend rope, while focusing on getting your knees high off the ground each jump. Doing this workout first thing in the morning on an empty stomach will maximize fat burning. Then, in the afternoon do the Zac Efron 3-2-1workout. Since the 3-2-1 workout requires a gym or at least some equipment, it’s hard to do it at home. So, do it later in the day when you’ve got time to get to the gym. Do the 3-2-1 Zac Efron workout 30 minutes after a meal that includes a protein, starch, and green vegetables for best results. For fat-burning, make sure that you go at a fast pace. Stick to the routines, eat a clean diet, and let me know how it goes! hi chris , i am 5’9 and 80 kg , i want my body to be like zac efron’s body so do you thing that is suitable for me to do that training program ? Yes, totally. Just remember you have to be just as strict about your diet as your workout. If you’re looking to gain weight, make sure to eat a lot like Zac Efron did. If you’re looking to loose weight, then you can cut back, and focus on the right foods. Let me know if you have more questions. well..i’m the one in the left on this picture, is it good for me to follow this workout? For sure, commit to the Zac Efron for a few months and you’ll see some results. Like I said, just make sure that you’re bringing intensity and proper form to each workout. Diet is the key to physical transformation. So, make sure you’re eating lean protein, healthy fats, brown carbs (otameal, sweet potato, rice), and green carbs for optimal results. Stay away from bad foods if you want real results. Once your committed to the intensity of the 3-2-1 workouts and a healthy diet, you’re on your way to an amazing transformation. Chris, how fast should I finish this excercise by day? And what about push squats should I do them with push-up or without push-up? Hey, I’m glad your results on the Zac Efron workout are decent. Keep your goals in mind, while doing the workout. Are you trying to burn fat or get bigger? If you’re trying to burn fat, then it’s okay to get the workout done fast. In fact, that’s the key! But, if you want to get bigger, then that’s when you would focus on heavier weight, and going slower. For muscle gain, you want to rest a while between sets. Zac never said what size dumbbells he uses. I might of seen a picture of him using a 25 pound (11.3 kg) weight. But, use a weight that’s right for you. Also, after 7 months it’s time to try another workout. The most popular workouts for men right now are The Rock Workout and The Wolverine Workout. “Repeat Strength Training Circuit #1, 2 more times” this means 3? 2 more than the one I’ve already done? Correct, you got it right! Hey Chris, I’m an mesomorph and I weigh about 175. I wanna gain muscle but also be toned. I don’t wanna bulk up so would this be a good workout for me to do? I want to know would it be better to start this workout. Or lose weight first, lose the fat and then start to build muscle and get toned? And apart from the exercise, what should my diet consist of? It’s a tricky question because I’m not fat, but I wanna be come cut and toned but also with some bulk. I am about 5’6 I weigh about 145 pounds I need to lose weight in my stomach for my abs to show and I also want more definition in my shoulders arms and chest. Is this work out for me. Yes, this is a great workout that got Zac Efron in shape. Also, you may want to try The Wolverine Workout: How to Get as Jacked as Hugh Jackman. That workout shares your goals of losing weight, but also being focused on muscle building. Check it out! I am 20 years old and weigh about 205 Lbs. I want to get into the 185 Lbs range and I have fat to loose along with gaining some muscle. Is this the correct workout? Or should I try something else? Also, what type of meal plan would go along with this workout that is best for loosing weight but also getting ripped? Yes, this is a great workout. But, if you’re looking for something more advanced, along with a meal plan, check out The Wolverine Workout. This is a plan that focuses on losing weight and getting ripped. The wolverine focuses on getting ripped and losing weight or both this workout and the zack efron one? Would the Channing Tatum work good with the zack efron workout if I was to do the Channing Tatum in the morning and the zack efron later during the day? I read a book saying to eat only about 100 calories every hour to help maximize weight loss, making a total of about 1600 calories a day, would that be smart for this type of exercise? Yes, both focus on getting ripped and losing weight. The Wolverine workout focuses on much more information about diet, so I think that may help. I don’t like the idea of eating 100 calories every hour. Eat every 3 hours, to keep your leptin levels in check. That sounds like a fun plan. The Channing Tatum workout will burn fat in the morning. The Zac Efron workout will help you build muscle while continuing to burn fat in the afternoon. Great thank you!! All that info helped! I have about 3 months to a wedding, hopefully I’ll come back with great results! Good Luck! Let me know how it goes, and if I can be of any more help. Also, would it be smart to take any pre-workout before and basic whey protein after? Yes, both great ideas. I like Cellucor or Animal Pump as a pre-workout. If you read the Wolverine workout article, you’ll see that it’s better to go with BCAA’s than whey. But, I do still take whey if I know I’m gonna be sore the next day. And when it says, “Repeat Strength Training Circuit #1, 2 more times” Does that mean for the first routine of 3 Workouts along with the cardio, you are basically going through the first circuit, then repeating 2 then moving on to the second? I am just kind of confused on how much to workout? This means you do one set of each. Then, another set of each. Then, another set of each. The idea is that with circuit training like this, you work different body parts. This causes the blood to flow quickly through your body. In turn, this causes you to burn more body fat as you develop muscle. Yes, the 3-2-1 workout goes well with cutting. To cut, you would just add another 1-2 cardio workouts throughout the day. Empty stomach, low-intensity cardio, first thing in the morning, for an hour would work. So would HIIT workouts during the day (1/2 hour after eating protein/carbs). If I weigh 280 pds and I’m 6ft will Zac’s workout help me if I do light weights with more reps? Also if I do elliptical instead of treadmill cause of my knees will I lose more weight? Yes, it’s fine to go down in weight, but not too low. I want you to be able to struggle with the weight when you get to 20 reps. If you’re struggling to keep perfect form around the 20th rep, then you know the weight is right for you. This amount of reps, with a weight that starts to fatigue you, is great for fat-burning. The Elliptical is a fine choice. Just make sure to keep your heart rate up. You can find out more about where you want your heart rate to be in this article, The Wolverine Workout. Aim for 3 sets of 20, each exercise. Should this be better to workout before or after eating? Either first thing in the morning, on an empty stomach. Or, anytime in the day 1/2 hour after eating protein/carbs. for the core section do you only do 20 reps each exercise, or do you do sets as you do in the strength? For a beginner, you do just one set. If you find that easy, then by all means, do 3 sets just like the strength training. Yes, it’s a great way to get started. But, I’d also suggest you take a look at the Magic Mike Joe Manganiello workout. That’s the one I’m doing now, and it really works the best. The idea is to superset everything. It’s heavier on the gym equipment needed, so if you want to stay lighter on that, Zac Efron’s workout is a great place to start. does the Strength Training Circuit #1 include the cardio? Nope, just the strength exercises. Hey Chris, so i have an ectomorph body type, i am naturally skinny and can eat just about anything without gaining much weight. I am 18 years old and i am pretty fit but i am looking to gain much more muscle mass. i weigh about 150 and i really want to gain about 15 pounds of muscle in the next 5 months. i had a couple questions about Zac Efron’s NAVY SEAL workout. For Tuesday’s workout, how many reps of each exercise should i do?? i realize that i hold the weight extended for 30 secs but how many reps and sets is it? Also, im not seeing alot of ab workouts here, is it okay to not specifically workout my abs even if i am trying to build a solid core? and if i should workout my abs more how often should i work my abs out? If you could help me out that would be great! thanks Chris! “Static Circuit: Do each of the following exercises for 4 sets of 8 reps.
weight, remember that it’s all about what you do outside of the gym. using My Fitness Pal (free website app). workout focused on abs, and it pays off. Could you explain what you meant by Thursday’s pushup routine? i am a little confused with the sets and reps? and lastly, would you recommend this entire workout for me based on my current weight, age and goals? The Ladder Routine for Thursday’s Navy SEAL workout means that you attempt to do 200 pushups. Since that would be too many to do in a row, you break them down into sets. “Ladder reps” means you increase, then decrease, the amount of reps per set up and down. Rest a decent amount of time between sets, so that you make sure you can perform the next set with great form. You’ll find that you have to rest long when you’re at the top of the ladder (about to do 25 reps) than when you’re toward the bottom. This is one of the more advanced workouts on Pop Workouts. Try it, see how you feel. But, also make sure to check out other popular workouts like the Channing Tatum workout, The Rock Workout, and The Wolverine Workout. the workout only says mon-fri, so the weekends are rest days right? is this meant to be an active rest? just don’t go to the gym? Yes, it means you’re free to do whatever you want. Make sure you keep your diet in check, although a cheat meal from time to time is OK.
You may find you even want to go to the gym for cardio, or to hit a spot you feel isn’t fatigued. The idea of taking the weekends off, is so that you enjoy yourself during the week. Don’t feel the need to push yourself on the weekend, if it’s going to make your workouts less enjoyable during the week. Working out should be a special time, where you get to make yourself better. Don’t burn yourself out, but do find something you enjoy, in order to stay active on the weekends. Good day. Im 6ft 3 inch. I’m about to start using USN creatine. Any precautions to follow? Creatine has been shown to be very effective in performance gains and lean muscle building. Follow the label directions for proper use. Also, take it with a tiny bit of juice right before your workout. The fructose in the juice is the most efficient way to transport the creatine to your muscles. The only precaution would be to cycle on/off. The label should tell you how long to take it, before cycling off. Hi Chris. I’m 15 years old, 5’4, and 120 pounds. I am a wrestler at my high-school and had a question. What exactly is the difference between bulking up and getting ripped? I need to gain some weight and I have been doing the Navy Seal workout routine, and so far, I like the results. I’m glad you like the results, keep it up! Bulking up focuses on gaining weight. This is usually done through reps in the 5-8 range, and a proper diet that promotes muscle growth. Check out The Rock Workout, for a sample of what to do and eat for bulking up. Getting ripped usually means losing body fat to show off your muscles. Being ripped means you have a low enough body fat percentage, along with some bulk from weight training, to really show your muscles off. Rob Riches, a category in the Workout Videos section, has videos that talk a lot about getting ripped vs. bulking up. Good day Chris. Is it possible for you to explain what you meant by, “getting at least 1,5g per pound of lean body weight per day”, mentioned in the first tip, to get abs. Also, I am 5’11, weighing 136 pounds. Also, due to some research, saw that there are two ways to define your ‘Lean Body’, which is by mass and weight. My Lean Body Mass is 116.55 whereas my Lean Body Weight is 140.98, according to an online Lean Body Mass Estimation. If possible, what would you recommend I eat? Oh yea!, i also wanted to know if you meant ‘lean body weight’ or ‘lean body mass’, due to the share amount of protein i would have to intake if it is, ‘lean body weight’. See above. Lean Body Mass. Body weight – body fat = lean body mass. Hey, Great question! You want to use lean body mass (Body weight – Body fat). You never want to include your body fat in these calculations, because fat doesn’t need protein to grow. So, use the 116.55. Once you’ve got that number, you can use Calorie Count or My Fitness Pal to help you even further. Good Luck! Hi Chris – So how do you do “5 rope pulls” or “5 farmer holds”? Things that are not really reps, but more just continuous actions? I thought about that too. They never mentioned the exact time. So, it’s just going to be your best guess. For farmer holds, I try to go for 20-30 secs, depending on weight. For rope pulls, 5x or 20x sounds like that’s how many reps per hand. But, 5x is kinda short, so I go for 30 seconds. They’re fun if you have access to them! hey bro , first of all thanks for the article . how many days a week i have to do this workout? i mean u showed like monday and tuesday workout, then what for other days ? There should be a link to the rest of the pages (2-5) on each page. Look for the orange buttons to nav to the rest of Zac Efron’s workouts for the week. Thanks! tx and one more thing like u have given (Repeat Strength Training Circuit #1, 2 more times) that means i have to perform strength training without any break then again without taking any pause i have to repeat the whole exercise ? of strength training? Take the rest you need to perform well. In circuit training you want to do 1 set of everything. Rest 1 minute, or whatever it takes to get you back to a comfortable level where you’re not breathing heavy. Then, you repeat the circuit and rest again. Less rest means more fat burning, but make sure to work your way toward this goal. Less rest between sets over time will help chisel the abs you’re likely looking for (along with a clean diet). For the 3-2-1 workout how long does it take to complete if you are doing all three and should they be done one after the other in succession? It takes about an hour, maybe hour and a half. Based on your intensity and fitness levels, and how much rest you take between sets, the 3-2-1 workout varies. The goal would be to reduce the amount of rest time between sets. If you're starting out, you will want to take more rest, and the workout will take longer. Or, you may cut it short as you build stamina. Yes, the idea is to do all 3 parts in succession. Of course, many times actors were merely doing what they could, on-set, so they weren't always able to get everything in. Get as much as you can done, aiming to do it all at once. Hi chris, would the 321 still be effective if you don't do the cardio aspects? I'm very fit however I need to bulk up so do I still need to do the cardio side of the programme? Yes, you can do it without the cardio. If you're looking to bulk up, you want to make sure you're getting the right nutrition. There's a book called "Nutrient Timing" that I'm reading right now, that talks about the new science regarding bulking up/getting more muscle. Check it out. Hi Chris, I am 5"11 and weigh about 130, I want to gain weight, will this workout work? And also I have been doing 15-20 Dumbbells I can only finish the first round fully then can barely do 20 on the next two sets. Is it okay to do more sets and less reps? I would appreciate if you could reply to my email address thanks! Zac Efron's workout can help you gain weight. Diet is the key. Make sure to consume protein during (and especially after) your workout. Chocolate milk right before you work out, and a protein shake 0-30 minutes after your workout, would be a good start. Check out The Rock Workout and Diet for a good example of what to do to gain weight. If you're looking to gain weight, then it's fine to do less reps and more sets. More importantly, rest longer between sets. Rest 1-2 mins if you need. Whatever it takes, so that you're able to lift a decent amount on the next set. If you completely loose your "pump," (the swelling of blood to the muscle group you're working) then you've waited too long. This is hard to do. Usually, you will be able to find the right amount of rest you need, before performing the next set! Zac Efron workout in the afternoon someone can burn fat and put on muscle. Would doing the Zac Efron 321 workout in the morning on an empty stomach be a good idea to burn fat and get toned without the Channing Tatum workout? It seems like the Zac Efron workout would be enough. Also what do you think about doing this workout on a very low carb diet? Would that hinder muscle growth very much? I would still be eating lots of protein and veggies. How much protein minimum would i need to consume? Im 5′ 8″ 160 and id like to shred the fat and get ripped. Thanks! Yes, you would be just fine doing the Zac Efron workout. Doing 2 workouts a day is more important if you’re already big, and looking to lose weight. For getting ripped, the key is your diet. Make sure you’re eating protein/carbs before and after your workout. A protein shake within 30 minutes of your post-workout routine is the biggest key. Try to eat 5-6 meals a day. Instead of a low-carb diet, find the carbs that help your muscles grow. Think steel-cut oats, sweet potatoes, fruits, etc. Trainers say the right amount of protein is anywhere from 1.4g – 2g of protein per pound of bodyweight. I’d start around 1.4g per lb. x of bodyweight (160 lbs.) and go from there. I noticed that it doesn’t look like there are any shoulder workouts in the 321 plan. Why is that? I really would like to broaden my shoulders and it looks like Zac has broad shoulders. What do you recommend adding to this workout? Or will the workout provided be enough? Thanks! If you’re a hard-gainer, it’s tough to gain a lot of muscle. Diet is the key. Your body needs more carbs (50% of calories), than protein/fat (25% 25%). Musclular definition will come from a balanced mix of weights and cardio. If you’re serious about gaining weight, the Gerard Butler workout is the way to go. If you’re looking for definition mostly, Zac Efron or Brad Pitt’s Fight Club Workout are the best. Realize that no matter how good your workout is, consuming protein/carbs before/after is the key. Focusing on what you’re putting in your body to fuel muscle growth will help you succeed. What do you mean when you say “Cardio I” or “Cardio II” or “Cardio III”? Zac Efron switches between weights and cardio. The Cardio I or II just denotes that what comes next is cardio. So, just look at what comes next, and know that’s a cardio aspect of his workout. I am 5’9 195 and looking to cut down and lose weight and get more ripped. But still maintain maximum strength as I am looking to become a firefighter. wanted to see if the SEAL program is the best. Start with the 3-2-1 Workout, it’s easier to follow and begin with. After a couple weeks, give the Navy SEAL workout a try. Let me know how it goes. I’m here if you have any ?’s. Thanks for getting back to me! I am definitly going to start the 3-2-1 program. But is this supposed to be done as fast as possible? Especially during strength exercises and because of the restrictions of my gym (treadmills are downstairs while weight room is upstairs? I understand your dilemma (been there before). Based on your goals, circuit training is still the way to go. You have to figure out how to use your gym to your advantage. As you’re doing one exercise, you’ll have to be eyeing the next station and hoping it’s available. If it’s not, you’ll have to look for substitutes. 1) Do the warm-up cardio, then all the weights, and finish with all the HIIT cardio. This will save you time of having to go up and down your gym. 3) Put abs in the middle. Instead of doing 3 sets, then another 3 sets, do abs in between. The cardio is meant to be there, but adjust the workout to fit your gym. For losing weight and getting ripped, supersets and HIIT training are also very effective tools. I think you’ll like the 3-2-1 Workout and what it can do for you. But, take a look at the best superset workouts, just in case your gym is too crowded for circuit training. The most popular are the Hugh Jackman Workout and the Joe Manganiello Workout. Can this workout give me the body like zac efron have on “baywatch” ? Or you have better workout for that body? Thanks for asking. I’ll check to see if there’s anything new. Hi! Are the 3-2-1 routines a good idea for really, really skinny guys looking to put on a lot of mass/muscle? I’m scared I’ll be burning too many calories. Thanks! Yes, you’re on to something. The 3-2-1 routines are better for when you’re looking to burn fat while maintaining muscle. If you can challenge yourself, and have a high calorie diet, Efron’s workout will be effective. But, if your goals are focused on muscle building you should try a different split. For Baywatch, I think Zac Efron’s approach is different. He’s looking bigger, and he tweeted: “Back and Biceps Workout,” so his split is different. Still researching to see if he talks about his new workout. 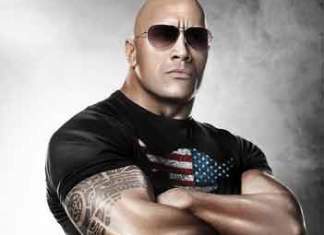 My guess is that he and The Rock will talk more when the new Baywatch is released. If you want to try a muscle building workout split (with Zac Efron’s co-star for Baywatch) try the Rock’s Classic Workout here https://www.popworkouts.com/the-rock-workout-diet/. Good Luck! can you tell me if this workout will help me gain muscle? i want to build muscles..
Good progress. Yes, this workout will help you build muscle, while keeping your body toned. Another workout to try, in this area, is the Joe Manganiello workout. However, if muscle building is your primary goal, you should try The Rock Workout, too. btw is this workout for ‘Neighbors’ or for ‘The lucky one’? Hey, can you tell me how long should i rest when im doing the strength training?, like between each exercise and, should my rest be longer when im done with 1 strength circuit? The amount of rest you might need varies. Starting out, rest whenever you feel out of breath. Eventually, you’ll be able to do an entire strength circuit without rest. At that point, yes, rest at the end of each (strength) circuit as needed. You want to minimize rest, in general, to promote aerobic fat burning. This was the workout Zac Efron used for “Charlie St. Cloud” and “17 Again.” The workout with the Navy SEAL is the one he used The Lucky Ones. Since The Neighbors is more recent, I’ll have to look into it. I’m also going to figure out how he got so buff for Baywatch, but they’ve only released pics, not details, yet. I’ll keep tabs on Zac Efron’s Twitter for more info. I’d love to get more info on Baywatch now, but we may have to wait until they start promo interviews for the movie, Thanks. Thanks for posting and thanks in advance for taking the time to reply to everyone. On the Navy Seal workout, Tuesday has two circuits, the Static Training, and the Big 5 55. Did Zac perform these circuits back-to-back? Or did he do one in the morning, one in the afternoon? I have been doing the workout for a few weeks now and find myself nearly exhausted after the static circuit. Perhaps I should slowly work into the Big 5 circuit by adding a set each week until I can do them all? Or reduce the weight in the Static Training Circuit so that I am not as exhausted? Yes, Tuesday is a big day. Zac Efron would do the Static training and the “Big 5 55” circuit together. If this is too time consuming, alternate workouts each week. Part of the Navy SEAL mentality is to take things to extremes. But, I agree with you on limiting yourself at the point of exhaustion. Make sure to eat protein/carbs 30 mins before your workout. Also, Wednesday is a much easier day. So, go as hard as you can on Tuesday, knowing you get somewhat of a break the next day. Slowly working in the Big 5 circuit into your routine is a great way to approach the Tuesday workout.